You are currently browsing the tag archive for the ‘Cézanne’ tag. 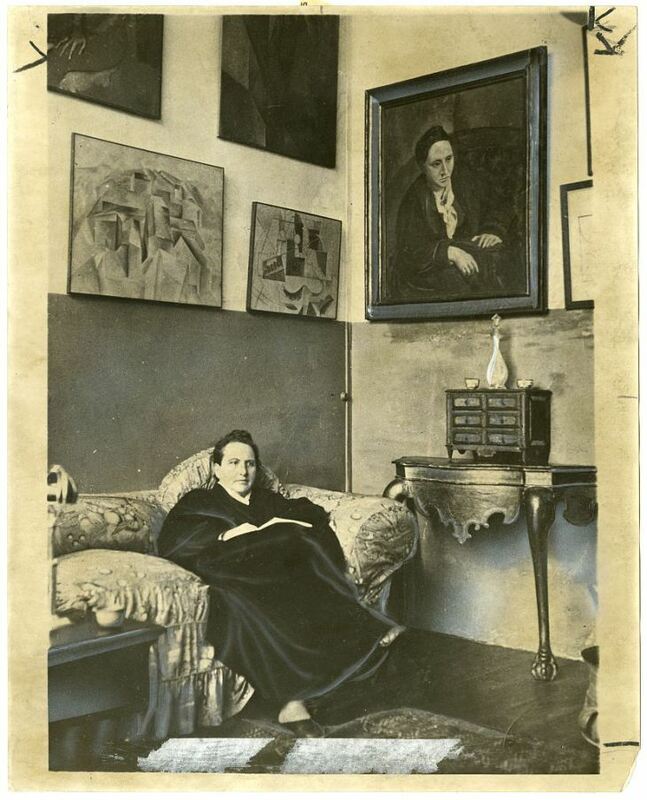 Gertrude Stein and her brother Leo shared living quarters on the Left Bank of Paris at 27 rue de Fleurus from 1903 until 1914, when they dissolved their common household. Their residence, located near the Luxembourg Gardens, was a two-story building with adjacent studio. It was here they accumulated the works of art into a collection that would become renowned for its prescience and historical importance. The joint collection of Gertrude and Leo Stein began in late 1904 when Michael Stein announced that their trust account had accumulated a balance of 8,000 francs. They spent this at Vollard’s Gallery, buying Paul Gauguin‘s Sunflowers and Three Tahitians, Paul Cézanne‘s Bathers, and two Renoirs. Still Life with Apples and a Pot of Primroses is on display at the Metropolitan Museum of Art and is one of only two works in which the artist painted primroses. The other, Pot of Primroses and Fruit, can be seen at the Courtauld Gallery in London.